I went to hear Temple Grandin speak this week. I’m not sure how many times I’ve seen her now, but she’s my hero. There are a million reasons to love her; for what she’s done for animal understanding and welfare, and for people with autism, but also for her confident opinions and one-of-a-kind self. It can’t have been easy. She has made not fitting in an art form. Over the years, she seems a bit more comfortable, or maybe we are more accepting of her, but now at 67, she’s a live wire. A force of nature. She has a lot to say and she says it fast! Living with her particular autism has given Temple Grandin a voice to admire, not that she hasn’t paid for it. But then, don’t we all pay a price for what we say or don’t say? Pay a price for who we are? I first met Temple Grandin while reading her book Animals in Translation: Using the Mysteries of Autism to Decode Animal Behavior. Her words filled a gap for me; she gave me a more positive way to see my own species. Like her, I’m extremely visual and I struggled with people, thinking that we all “saw” the same thing. When she described how her brain worked, I recognized it. I’m not autistic, but I didn’t know our method of thinking was different until she explained how most people think. She almost made too much sense. 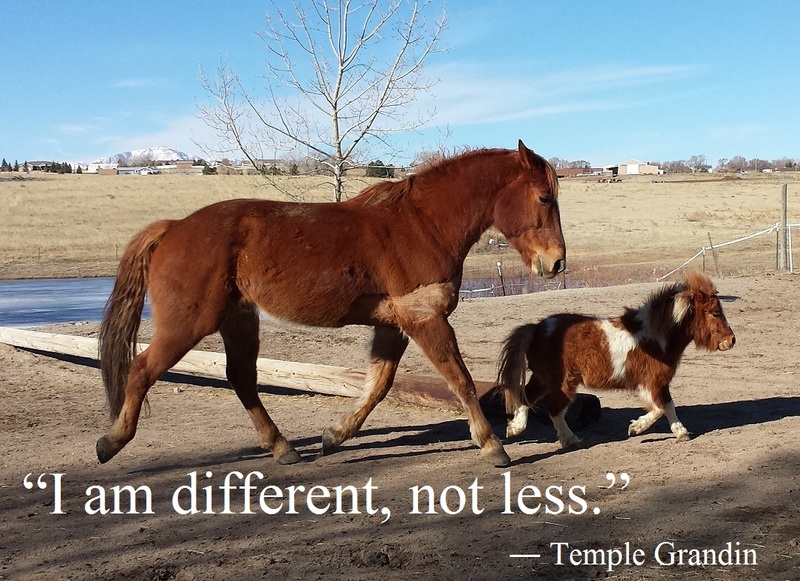 Like the rest of us, Temple Grandin bumped up against Gatekeepers: people who maintained the status quo. But sometimes the standard practice needs improvement, so she found a way around roadblocks to do her work. Change is hard; shaking up the status quo, whether it’s mainstreaming autistic kids or saying slaughter houses need to be re-designed from the bottom up, is going to agitate people. Gatekeepers have a purpose; there is a value to order and tradition, and at the same time, growth and evolution is inevitable. In publishing, the tradition is that a few publishers have control over what books come out. Authors are powerless, hoping to get a nod of validation, even as the ocean of manuscripts totally drowns publishers every day of the year. There are well-worn stories of rejection and redemption, but do you ever think about the ones that got away? The Pulitzer manuscripts stuffed into drawers? When I studied art history, I was always left wondering about painters who were not men or who didn’t have a patron. How many possible Old Masters were just never discovered? How many women painted secretly? Somewhere in the soup, there is luck. Just dumb luck. Technology is blowing the publishing industry apart right now. No one knows what’s next. Traditional publishers are resisting the change, previously published authors who have a stack of rejections are considering taking another path, and anyone can upload an eBook to Amazon and be an author in an hour, with not so much as a spell-check required. It’s chaos. Temple Grandin says, “What would happen if the autism gene was eliminated from the gene pool? You would have a bunch of people standing around in a cave, chatting and socializing and not getting anything done.” The person who doesn’t fit the norm might be the best thing that ever happened. So the learning curve continues. It’s been a week of ISBN numbers and formatting questions. What size should the book be, what kind of binding and production, and how will I promote it? My newsletter is coming together. The first cover reveal will be there and a sneak peek at a chapter or two. I’m studying up on giveaways. If you want the inside skinny on my book, sign up on the link at the top of the page. Two days ago I met a person who looked at me with disdain for self-publishing, probably assuming I was another idiot who couldn’t use spell-check and didn’t deserve publishing. It’s a Catch-22. I don’t have a physical book so I can’t ask her to reconsider. Is there something simmering inside of you, too? I dare you… take a cue from Temple Grandin. Be the real, weird, funny, smart, and utterly beautiful person you are, and then speak up. Like a force of nature. JUST DO IT!!! More people should have access to your talent. Going to order Temple Grandin’s book. Was not aware of it. Sounds very interesting. Did not know who she was until I happened to just catch a movie on TV about her. It was an unbelievable story. She should be so proud of what she has accomplished. Saw ads for the special coats for dogs to calm them in stressful situations and immediately thought they stole her idea, but more power to them. Can you imagine the lost talent if she was born 100 years ago. We are lucky to be women at this point in time, but we still have a long way to go. Technology today is the answer to liberating women ( and others oppressed by tradition, government, radical ideologies, etc.) around the world. Thanks again for your inspiration. She is a treasure, thanks for the comment… They say that violence against women in the number one civil rights issue on the planet… but I hope we are getting better. Fitting in is boring! Who wants to be bored? I often wonder about those masterpieces stuffed away in trunks and drawers. Emily Dickinson’s work could have been lost if her sister Lavinia had not believed in them. I can’t imagine a world without her poems. I too wonder what was lost….. I want to think it’s more than luck, but with women’s creative work especially…. Great comment. So completely lovely! I join you in the WE ADORE TEMPLE GRANDIN CLUB!!!!!! And I can’t wait to buy your book! Lots of copies! Agreed, Tammy. She’s the best. Thanks.